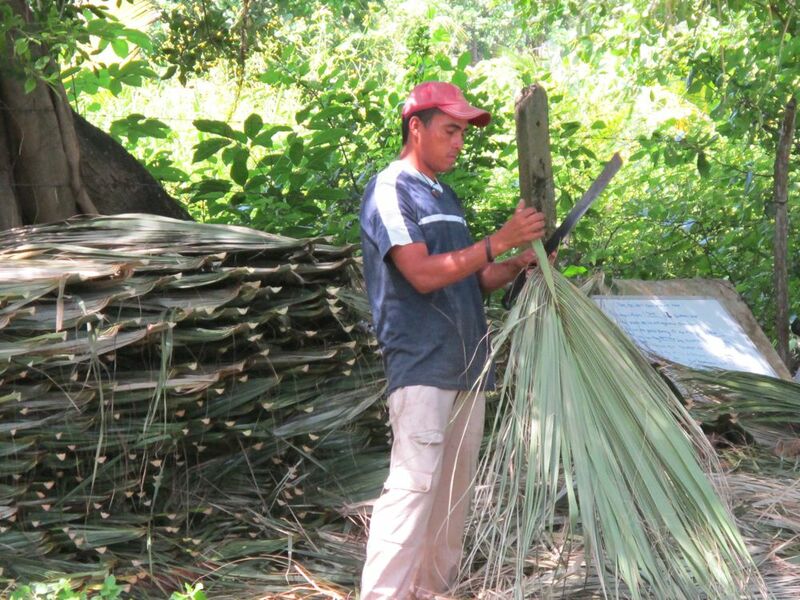 ← Building in Nicaragua – Is Cutting Mangroves ever Sustainable? 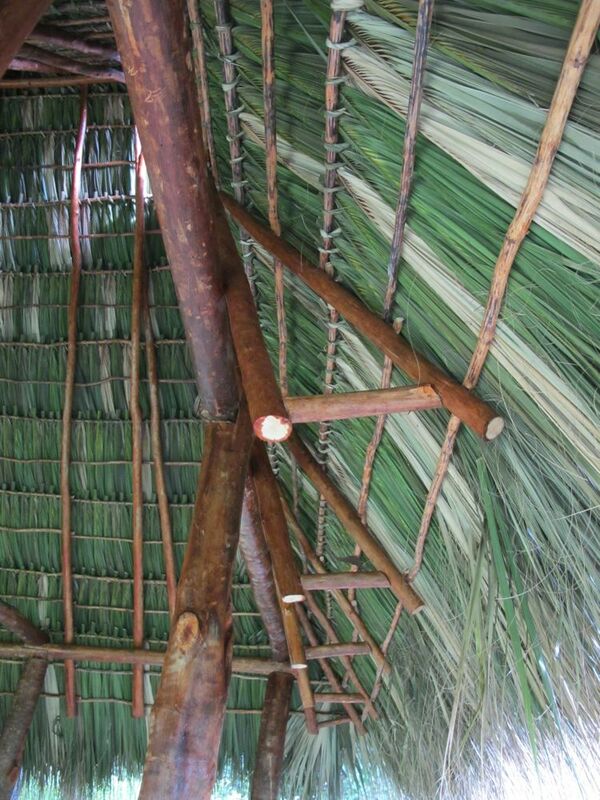 Accessing the palm fronds for the thatch roof turned out to be one of the easiest things we’ve had to do so far. 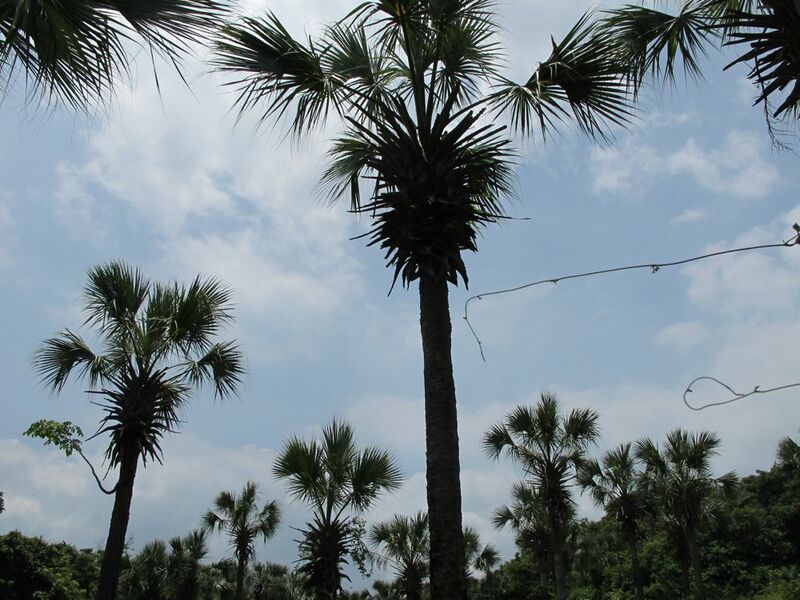 There’s a property nearby owned by a friend full of the right kinds of palms, so we simply had to have a chat with the caretaker there and negotiate a fair price for the 2.5 fletes we needed to cover our roof with thatch. Each flete costs 1,900 cords so 2.5 plus tractor transport ended up costing about $250 US. 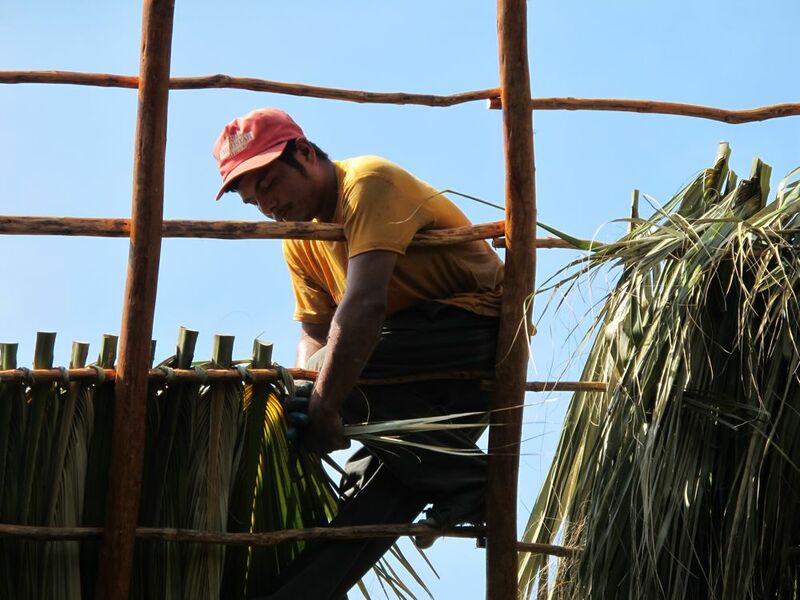 The palm fronds get hand woven along the varilla in tight rows and when done correctly will last about five years. After four hours they are half-way done! We added an extender in the front to give a little more sun and rain protection. Another added feature, a window for extra air flow (and hopefully no rain leakage)! 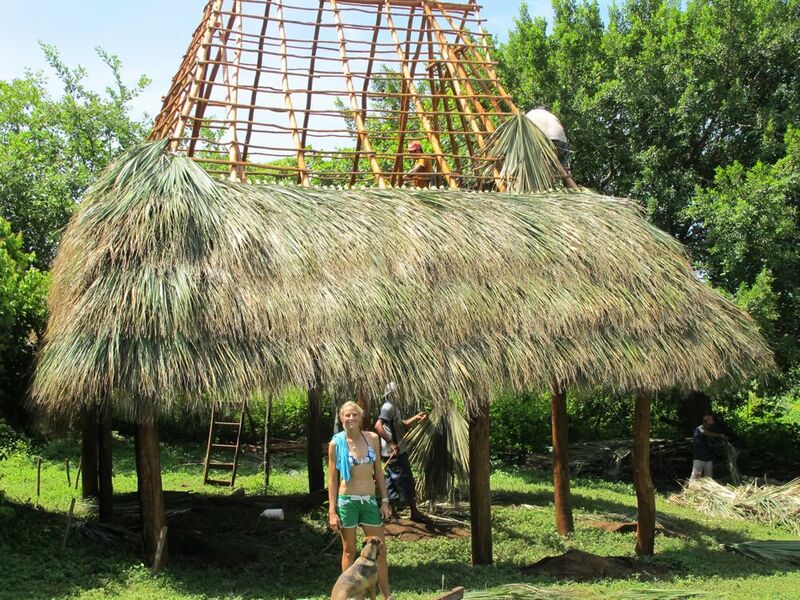 This entry was posted in Green Building and Bamboo, Nicaragua and tagged building in nicaragua, cabana, green building, hip e habitat, hip-ehabitat, hipehabitat, hippie habitat, holly beck, house hunters, kim obermeyer, nicaragua, northern nicaragua, permaculture, sustainable living. Bookmark the permalink. Where exactly is your house down south? Since we’re way up north im not sure how much help we’d be. I would suggest talking to the local who lives nearest you with a thatch roof. They would know where to get the palma and who would be able to install it. I didn’t make it to San Juan del Sur, heard it was too touristy. I did hovewer meet two fellow backpackers while in Nicaragua who were robbed on the beach in San Juan by the same guy two weeks apart. I would also recommend visiting Nicaragua, really enjoyed Ometepe, and did see a brilliant sunset while there. 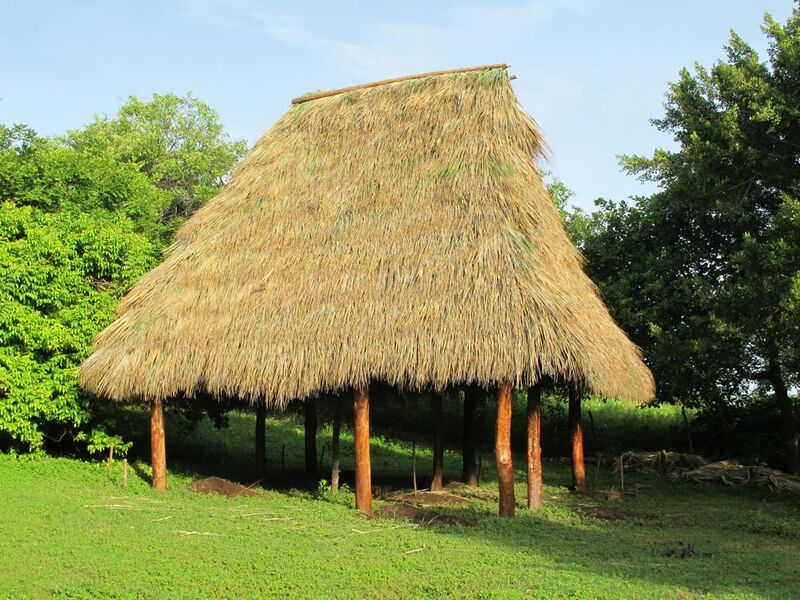 i am surprised that you can’t find anyone to repair your thatched roof. 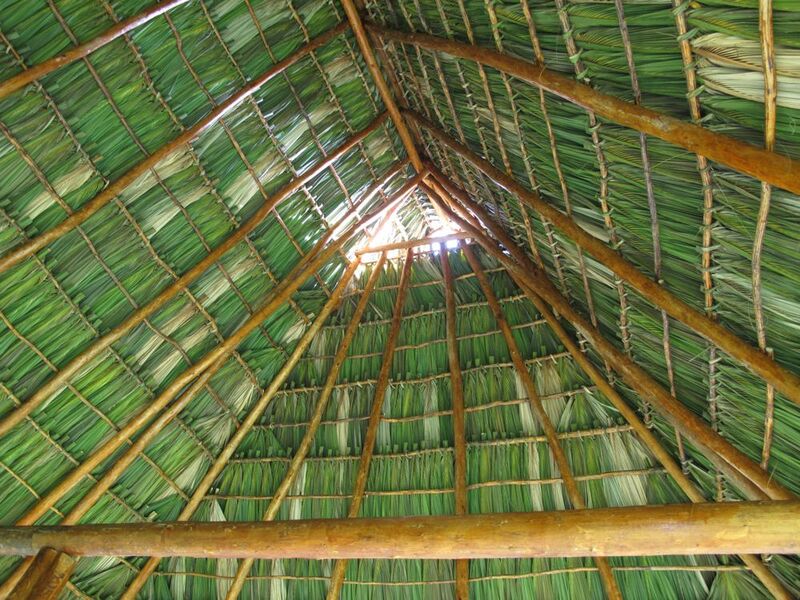 there are so many guys who work on thatch roofs in the north and there must be in the south as well. i would recommend going into to anywhere you see with a thatch roof and asking for the contact info for the guy who did it.